This one’s a toss-up. On one hand, it’s a remake of one of the most beloved modern musicals. On the other hand, the previews have given us non-jokes and cringe-inducing acting. On a third, imaginary hand, there’s a lot of talent behind this film. There’s a chance that Oscar-winner Jamie Foxx and Oscar-nominee Quvenzhané Wallis could pull it out of the quality tailspin that affects most remakes. 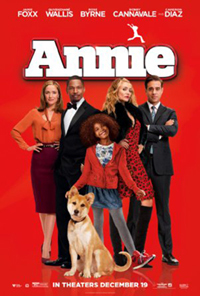 Maybe Annie will overcome her hard knock life and make this a hit.